Hi! My name is Russell Kibel. 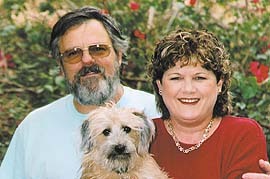 My wife Michelle and I emigrated to Israel in 1970 from South Africa. Initially we settled in an agricultural village in the Negev Desert where we pioneered the growing of out-season tomato crops and "high-tech" flowers for export to Europe. For 18 years we developed our farming business but when the opportunity arose we decided to move to Eilat where we went into renting holiday apartments. At first it was hard going but in time, with care and attention, our holiday apartments began to take shape and the word began to spread. Today we are proud of our ever-growing clientele many of them repeat users. I enjoy meeting new and return guests and will always go out of my way to make you feel at home. 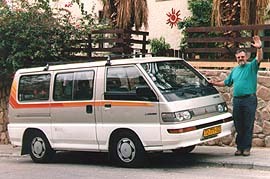 I'll be glad to fetch you from the Eilat airport or bus station. Our holiday apartments are great for families, couples, divers, bird-watchers & groups - quiet, comfortable, convenient and fairly priced - a great way to enjoy our sunny city on the magical shores of th Red Sea. Looking forward to meeting you soon in Eilat.